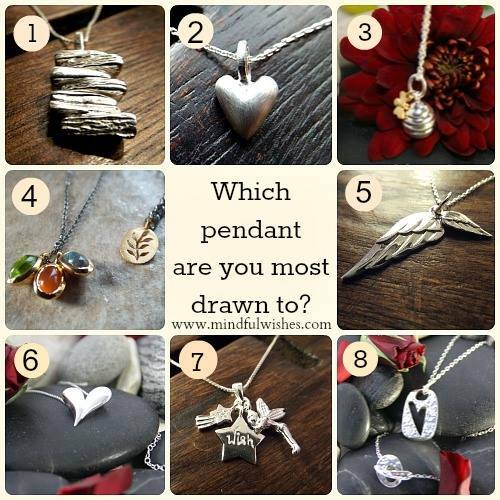 To Which Pendant Are You Most Drawn? 1 ~ Balance ~ “Harmony is created when we balance our mind, body and spirit.” When worn, the balance pendant will remind you to seek balance in all you do. Great for those who find there emotions run either very high or very low. Learn to say no to the things in your life that make you stressed and start saying yes to more things that make you happy. 2 ~ Hopeful Heart ~ “Keep hope in your heart and positivity in your thoughts.” A great little reminder to stay positive, even when life feels like a never ending struggle. Adjusting how you think about your life, and starting to see problems as challenges you CAN overcome, can make life beautiful again. Wear this dainty matt finish heart and every time you feel a negative thought creeping in, look at it, touch it and be reminded to shift your attention to something positive. 3 ~ Honey Bee ~ “The bee that stops to smell the flowers, makes the sweetest honey.” You are drawn to the mindful pendant. Your power lies in the present moment. When we dwell on the past we can come depressed, and when we worry about the future we become anxious. If you suffer from either, wearing this pendant will help remind you to bring your focus back to the present moment each time it wanders and also help remind you to slow down and really appreciate the little moments in life as they happen. 4 ~ Connected ~ “Stay grounded but let your dreams take flight.” This pendant really appeals to those who love nature and like to feel connected to the world around them. With it’s black ruthenium chain and earthy coloured stones, this dainty pendant is a delight to wear. Reminding you to appreciate your surroundings, be grateful for the people and things that are already in your life, but not to forget to dream BIG. Your dreams were put in your being for a reason, don’t be afraid to go after them. 5 ~ Angel Wings ~ “May there always be an angel by your side.” A beautiful pendant to wear to keep the spirit of lost loved ones close to your heart. Angel wings can also be worn for protection, reminding you that you are never alone and to call on your angels for help when you need it. Like all the pendants they are sterling silver which has long been associated with increasing your intuition. May you always be reminded that you are loved and supported by your angels in everything you do. 6 ~ High Shine Heart ~ “Knowing you is knowing love.” Being drawn to this pendant is a sign that you have a very beautiful soul. Those around you can feel the love that radiates from within you and lights up the lives of all those around you. This pendant is a beautiful gift to receive, letting you know someone appreciates all that you are and all the good you bring to their life. 7 ~ Fairy Wish ~ “Close your eyes and make a wish.” So you’re not 6 years old anymore….that doesn’t mean you can’t believe that wishes come true. Some of the very things you have in your life right now were nothing more than yesterdays wishes. Ask, believe, receive. The life you desire is within your power to achieve. Believe in yourself as well as in wishes and you will go far. 8 ~ Love Within ~ “Loving you was the best decision I ever made.” This is one of my personal favourites. A chunky piece of silver with a gorgeous hammer clasp finish, I wear this one regularly to remind myself to simply love myself more. Not in a conceited way, but in a gentle and necessary way. When we take care of ourselves, accept ourselves and want the best for ourselves, that radiates outwards and also lifts up those around us. 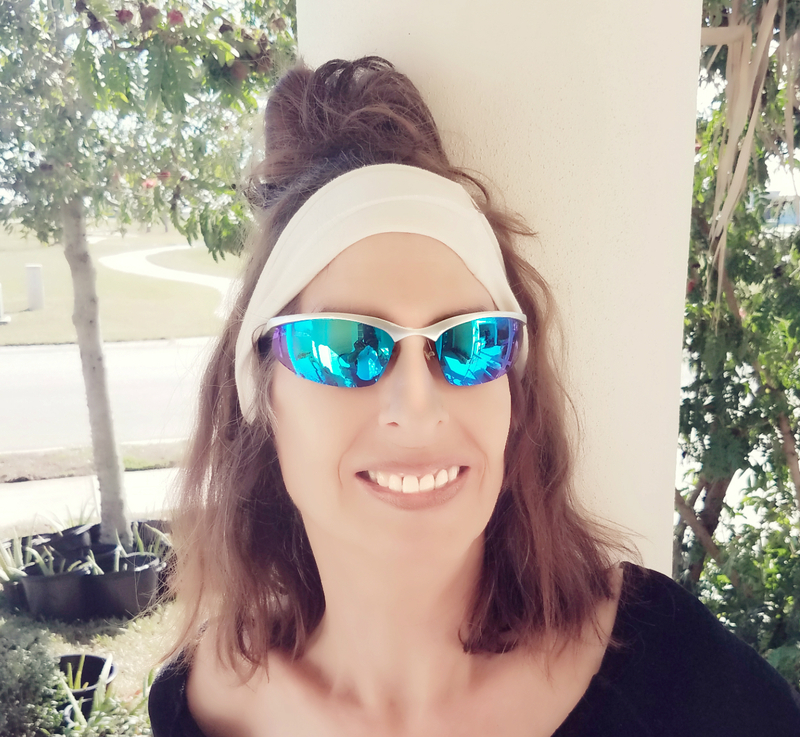 If you have been drawn to this one, perhaps it’s time you treated yourself more often and learned to take some “Me Time” without calling it selfish. You are amazing and you deserve to be happy, never forget that! #6 is my natural pick and the only one I was instantly drawn to. Was it true for you, Moonie? Obviously yes Ami, obviously yes. Yes, I thought it was very accurate, too. I got 4.